Raised in San Antonio, Mike Murray began his educational career at Columbia University, before earning his Bachelor of Arts degree in Political Science from Trinity University in 1994. Shortly thereafter, he enrolled in the Texas Tech University School of Law, and earned his Doctor of Jurisprudence in 1998. While a student at Texas Tech, Mike was a member of the school’s Moot Court teams; in the summer of 1998, his team won the National Appellate Advocacy Competition, winning the final round at Harvard Law School. The appellate brief Mike wrote for that competition was voted the best respondent’s brief and placed third nationally. Mike is licensed to practice in Texas courts, the Supreme Court of the United States, the United States Court of Appeals for the Fifth Circuit, the United States District Courts for the Western and Southern Districts of Texas. After graduation, Mike accepted a position as a Briefing Attorney to then-Chief Justice Robert J. Seerden of the Thirteenth Court of Appeals in Corpus Christi. Following more than two years of service, in 2001, Mike took a position with Crofts, Callaway & Jefferson, one of the state’s premier appellate boutiques. While there, Mike served as lead appellate counsel in almost 50 appeals and appellate proceedings, encompassing a wide array of civil matters, successfully representing clients in virtually all of the Texas intermediate courts, the Fifth Circuit Court of Appeals, and the Texas Supreme Court. In 2004, the Texas Board of Legal Specialization awarded Mike board certification in Civil Appellate Law. Mike is licensed to practice in Texas courts, the Supreme Court of the United States, the United States Court of Appeals for the Fifth Circuit, the United States District Courts for the Western and Southern Districts of Texas. 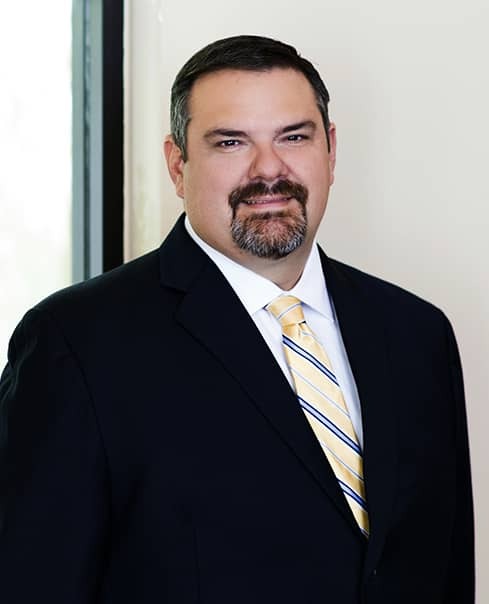 Mike is an active participant in several bar organizations, serving as Chair of the San Antonio Bar Association’s Appellate Section for two years. He served for 3 years as Chair of the Federal Bar Admissions Committee for the Western District of Texas. Mike and his wife Cindy have two young daughters. He is a member of the Board of Directors at Sunshine Cottage School for Deaf Children in San Antonio and a member of the vestry at Grace Episcopal Church. Mike has briefed and/or argued appeals in the Supreme Court of the United States, the Fifth and Tenth Circuits, the Supreme Courts of Texas, New Mexico, and Kentucky, and the Court of Appeals for the First, Third, Fourth, Seventh, Eighth, Tenth, Eleventh, Thirteenth, and Fourteenth Districts of Texas.